being a very pale puce color, I decided to garnish the pie with candied blood orange slices. 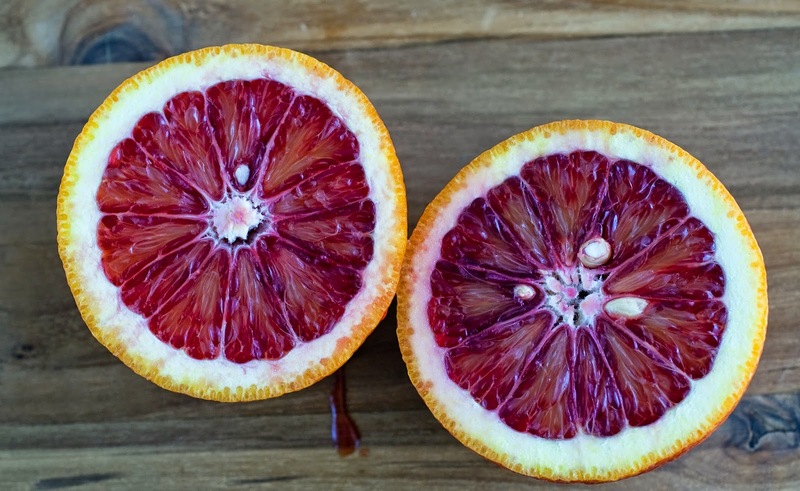 Just my luck, my last orange ended up looking a lot like an ordinary old orange-hued orange, without the beautiful coloration characteristic of blood oranges – just a few dark red streaks here and there. Hopefully, your pie will be much more vibrant and just as delicious as mine. 1. Preheat the oven to 350°F. 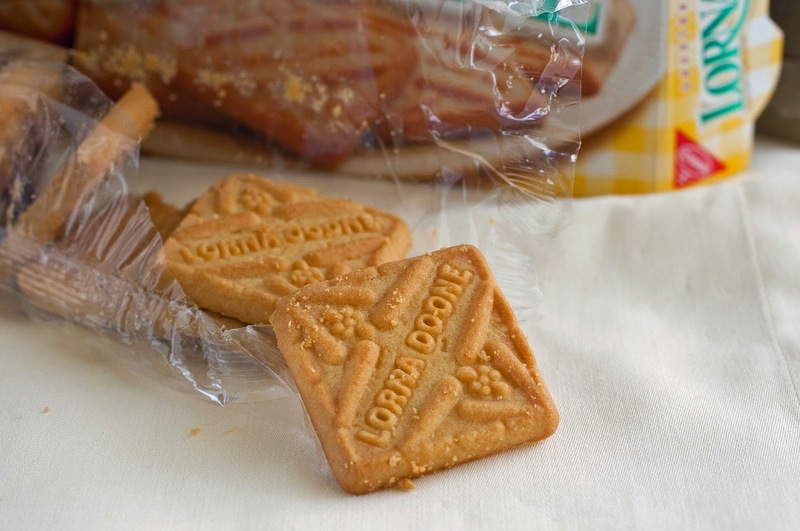 In a medium bowl, combine the shortbread crumbs, sugar and melted butter. 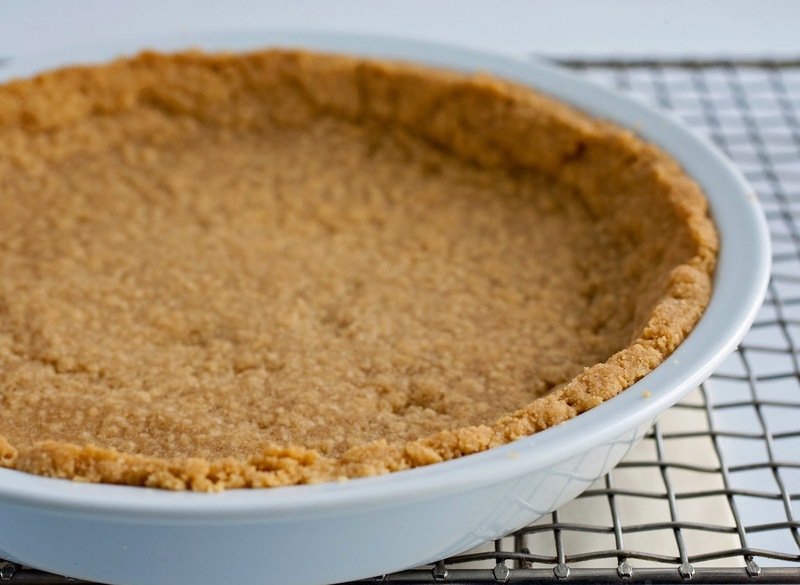 Pat the mixture into the bottom and up the sides of a 9-inch pie plate. Bake the crust for 8 to 10 minutes, until it is fragrant and just beginning to brown very lightly. Cool the crust completely on a wire rack. 2. Place the water in a small saucepan and sprinkle the gelatin on top. Allow to soften for 5 minutes. 3. Add the sugar, orange zest, citrus juices and yolks and whisk until blended. 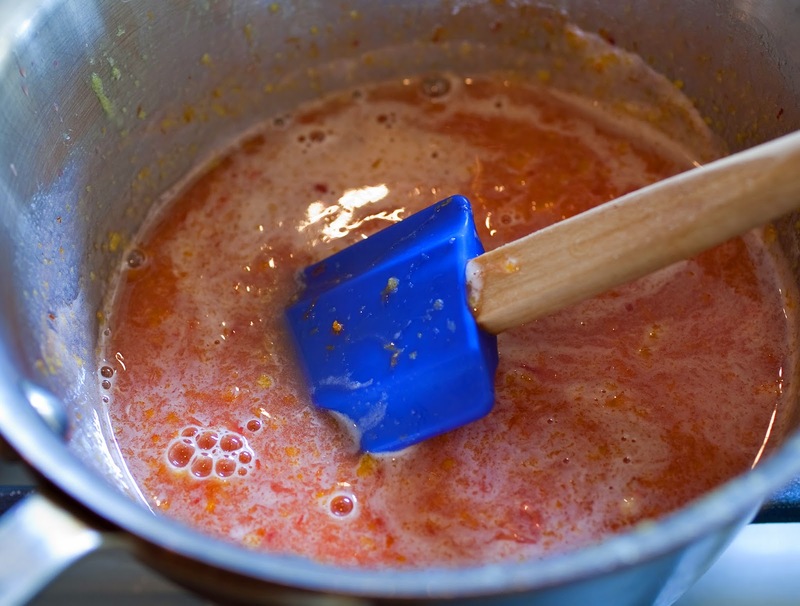 Place the mixture over medium heat and cook, stirring constantly with a silicone spatula, until the mixture thicken slightly and coats the spatula; do not allow the mixture to boil, or it will cook the yolks. Remove the pan from the heat and allow to stand for 2 minutes. 4. Add the white chocolate to the hot juice mixture and let stand for a minute to melt the chocolate. Whisk until smooth. Pass the mixture through a fine-mesh sieve into a medium bowl. Place the bowl into another bowl filled one-third of the way with ice water. Let the mixture stand, stirring occasionally, until completely cool. 5. In the bowl of an electric stand mixer fitted with the whisk attachment, beat the cream at high speed until soft peaks form. Briskly fold one-third of the whipped cream into the juice mixture. Gently fold in the remaining whipped cream. 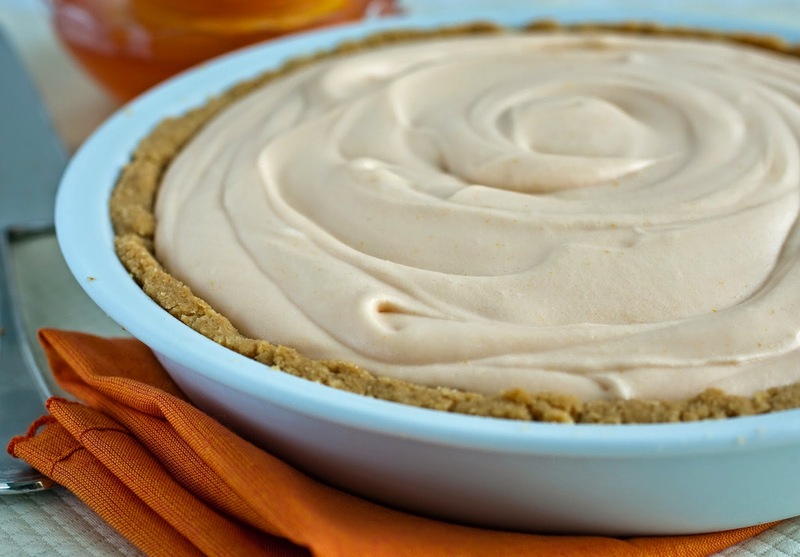 Scrape the mousse into the cooled crust, swirling the top decoratively. Refrigerate the pie for at least 3 hours. 6. Slice the orange crosswise into rounds that are slightly thinner than ¼-inch. 7. Combine the water and sugar in a large skillet and place over medium-high heat. Bring a boil, stirring occasionally until the sugar is dissolved. Add the orange slices and simmer over medium heat until the slices begin to turn translucent, about 30 minutes. 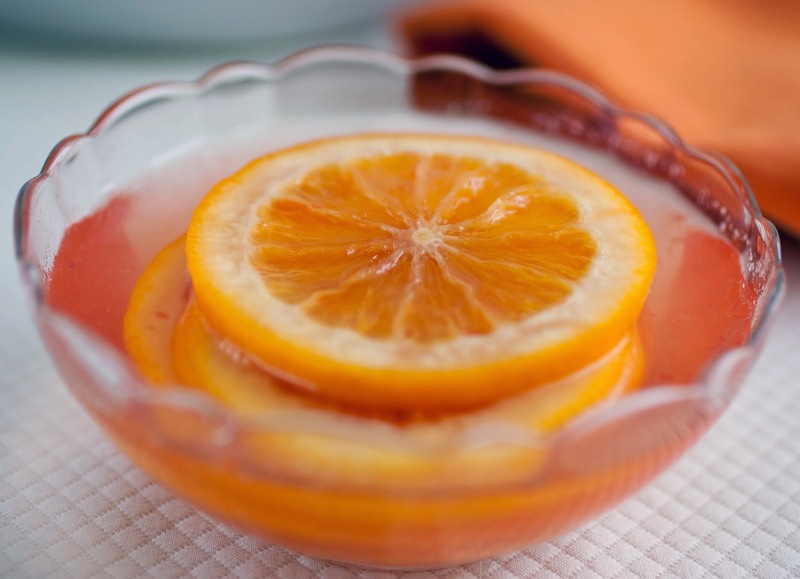 Remove from the heat and let the orange slices cool in the syrup completely. Once cool, store the slices in their syrup in a small container in the refrigerator. 8. 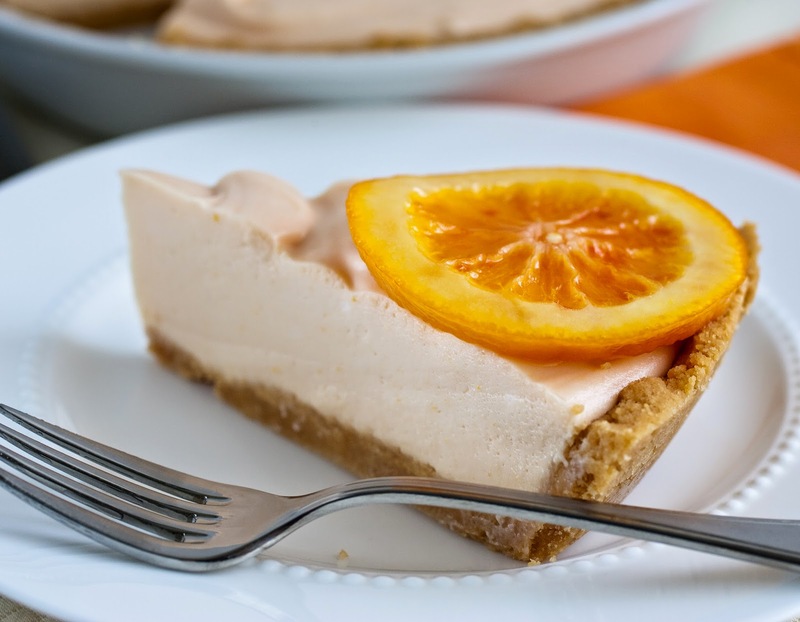 Serve a slice of the pie topped with a Candied Orange Slice.